On Wednesday, November 29, students gathered in the HIRC lecture hall on the SUNY Oneonta campus to watch the documentary “Blackfish.” After the film, students and other members of the Oneonta community were able to take part in a discussion with Lori Marino, the Founder and Executive Director of The Kimmela Center for Animal Advocacy. LEAD credit was awarded to attendees in the areas of values and ethics. Through this event, the Students Protecting Animals Rights club was successful in exposing people to the reasons as to why the sea-park industry and the captivity of whales are problematic. Club President Victoria Iarrobino introduced the film to the audience. “Blackfish” was released on July 19, 2013 and was directed by Gabriela Cowperthwaite. This film was awarded the Satellite Award for Best Documentary film. 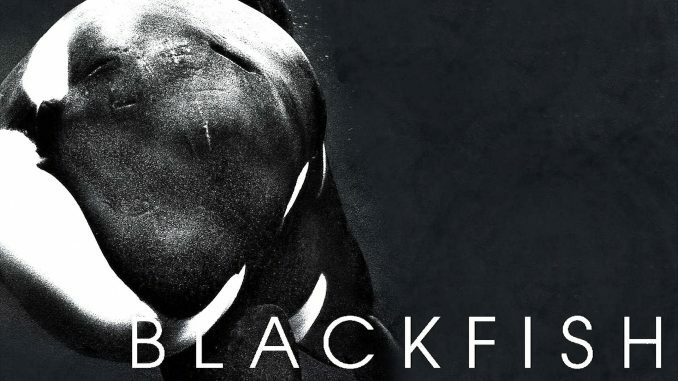 “Blackfish” focused on a captive killer whale named Tilikum who was taken in by SeaWorld. Former sea-park trainers were interviewed throughout the film and topics such as their relationships with the whales and the fatalities of fellow trainers due to agitated captive whales such as Tilikum were discussed. Being kept in captivity has a significant emotional strain on the whales. Studies of orca brains have shown that whales have a sense of self and social bonding. An environment filled with hyper-aggression is created in captivity tanks because animals of all different genes and languages are thrown together and forced to live in a confined area. One of the most impactful stories shared during the documentary was that of Dawn Brancheau, a senior animal trainer at SeaWorld, who was killed by Tilikum. Once the viewing of the documentary finished, a Skype video call with Lori Marino began. She is a strong advocate for the termination of using captive dolphins and whales for entertainment purposes. Marino helped to produce “Blackfish” after the director asked to interview her. She is a credible source for this documentary because of her work with brains, such as that of the orca. “I had no idea at the time about how impactful of a film it would be. When CNN picked it up, it really made a difference,” stated Marino. Last year, SeaWorld announced that they would stop breeding orcas in captivity, but the company did not agree to put an end to orca captivity. Marino is working on a whale sanctuary project to create more natural environments for whales. “I plan to get the sanctuary built and running to get whales out of the concrete tanks and into a more natural environment in the next 3 to 5 years,” explained Marino. At this point in the whale sanctuary project process, the team is looking for a natural environment, like a cove or bay, that can be netted off with ample space for the whales to be cared for. Although not having whales in captivity at all would be ideal, some whales will not know how to live on their own after living in captivity for most of their lives. The whale sanctuary project team is exploring potential sites in areas such as Washington state and British Columbia. Currently, SeaWorld is receiving a lot of backlash because there is a vast amount of people who are beginning to advocate that whales should be able to live in their natural environment. Ticket sales have been down, and people believe that SeaWorld needs to start doing what is best for the animals that they claim to care so much about. Marino concluded the discussion by giving advice to college students who are looking to peruse a future as animal rights advocates. “Study animals and get the best scientific and formal training you can get,” explained Marino who received her Ph.D. at SUNY Albany.